Again, this year Home Depot North Bay chose Crisis Centre to be the recipients of funds raised through their Orange Door Holiday Campaign to end youth homelessness. The North Bay store came in first place for funds raised across Canada!!! Our 10-bed Transitional Housing program (Futures Residence on Cassells Street) for homeless youth is in of many renovations. This funding will assist us in providing a safe, well maintained home for youth. Thank you Home Depot! I am thrilled to report on the excellent work of the Nipissing Attendance Centre, a program of Crisis Centre. Last year, in addition to their standardized programming, they provided gender specific programming to almost 100 students in grades 7-12. 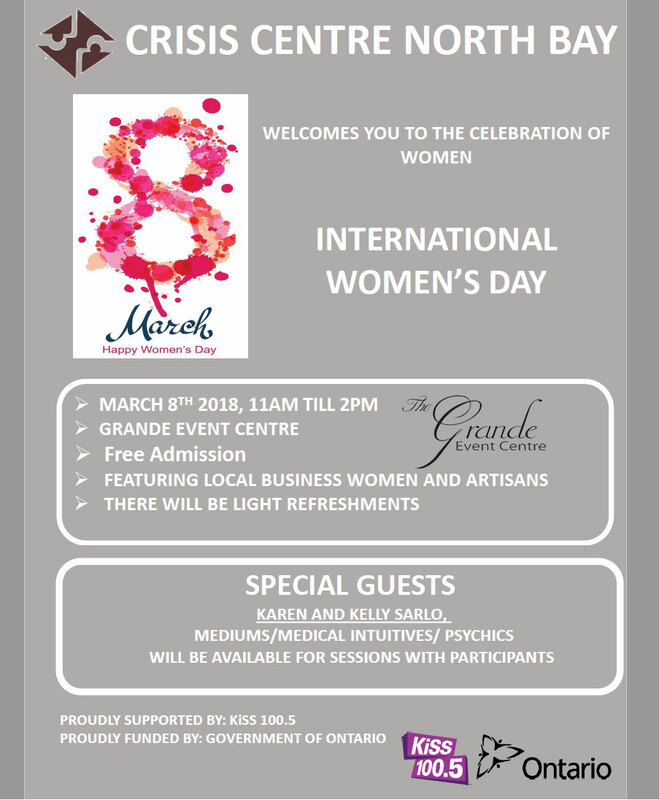 The topics include: self-esteem, personal growth and self-care, stress management, anti-bullying/cyberbullying, being role models and allies, safe dates and sexual consent. Providing guidance and support to teens is an essential part of helping them develop into mature, well-adjusted adults. This fall the Attendance Centre will continue to offer programming to vulnerable youth. Check out the program's summary on the website for more information! Crisis Centre and Home Depot North Bay just finished working together on The Orange Door Project campaign. The campaign was established by The Home Depot Canada Foundation to help prevent and end youth homelessness in Canada. All of the funds raised in North Bay stay in North Bay. We at Crisis Centre are forever grateful to the Home Depot North Bay staff who work tirelessly to raise funds for this campaign. I am proud to report Home Depot North Bay came in 2nd in Canada for funds raised! All funds raised through this year's campaign in North Bay will be donated to Crisis Centre North Bay and will be used to help prevent and end youth homelessness. Thank you Home Depot North Bay and The Home Depot Canada Foundation! 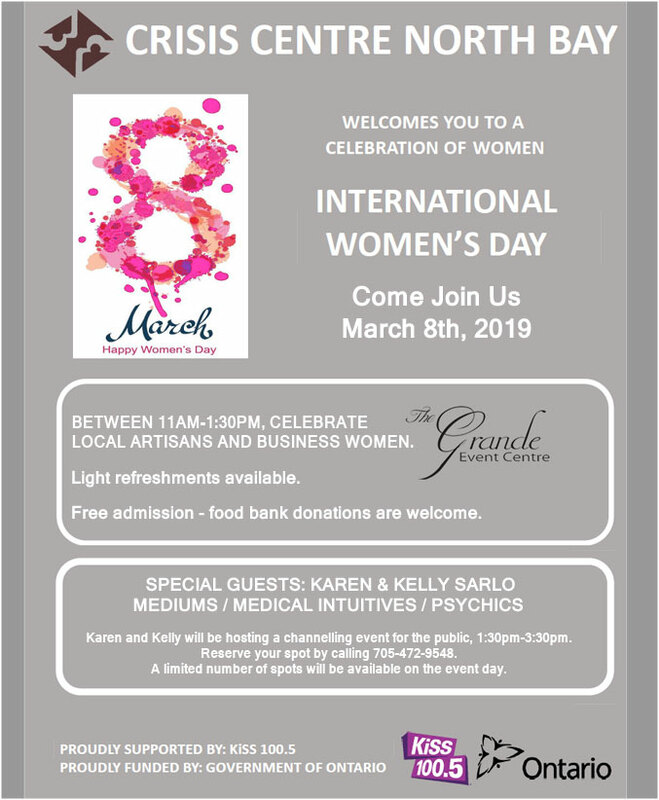 Please join us at the Grande Event Center on March 8th from 11am until 2pm as we celebrate International Women's Day. Download a PDF copy of our poster here. Our Four Elms Homeless Shelter has had one of their busiest summers in many years. Thank you to the community for your donations of personal hygiene products, food and financial assistance. Your support is always welcomed and appreciated. Home Depot Canada Foundation-Orange Door Project Campaign raised almost 1.3 million dollars across Canada this year in an effort to end youth homelessness. Crisis Centre North Bay has been fortunate enough to be the recipient of funds raised by the North Bay store. Home Depot staff in North Bay are a wonderfully dedicated group of people who work hard to assist Crisis Centre year after year. Thank you!